Monica's newest single Love All Over Me is the second from her album Still Standing. 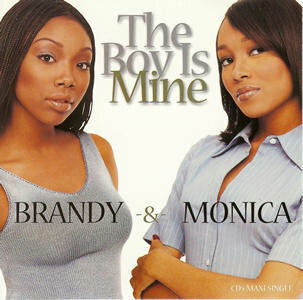 Her duet with Brandy, The Boy Is Mine, was my most listened to song in 1998. It spent 13 weeks at number one in the Billboard charts. I've always thought that Monica has one of the best voices in R'n'B. Here is her version of the great Dorothy Moore song, Misty Blue.